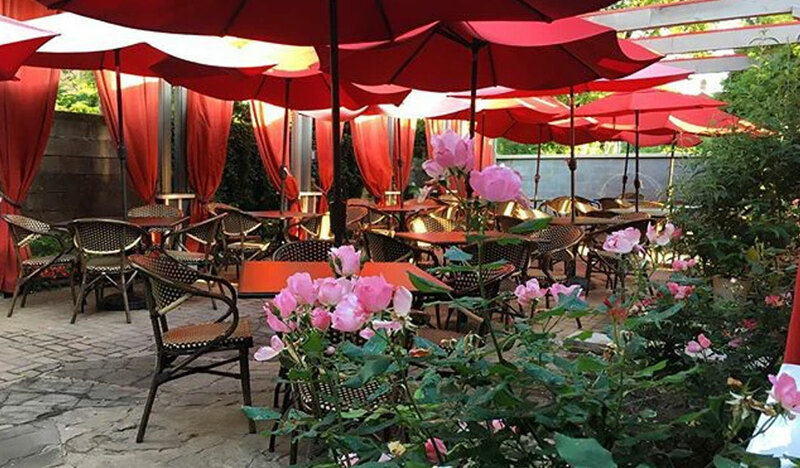 Whether you dine inside the small cafe or outside on the delightful patio, you will be transported to cobblestone streets lined with cafes and coffee houses reminiscent of yoru favorite European city. Bon Appetit! While living in Los Angeles owners, Kirk and Heather Saleme, stumbled upon many exciting eateries and grew a passion for good food with great atmosphere. When the couple got married and moved back to Central Pennsylvania to start a family, they wanted to bring something different and unique back to the hometown in which they grew up. Heather & Kirk saw the perfect opportunity to reconfigure and re-purpose an old shoe repair shop in the historic district of Hollidaysburg and hoped that their new & exciting restaurant could help to revitalize & breathe some life back into the downtown area. Allegheny Creamery & Crepes opened its doors in May 2009.